A number of former Nebraska players and coaches will be on the field and sidelines when the Alliance of American Football kicks off this weekend. The new league, announced in March 2018 by co-founders Charlie Ebersol and long-time NFL executive Bill Polian, gives prospects another avenue to be scouted and seen by NFL executives. The list of former Huskers on AAF roster’s includes Terrell Newby, Josh Banderas, Kenny Bell, De’Mornay Pierson-El, Kieron Williams, Alonza Moore. Mike Riley will be the head coach of the franchise in San Antonio, the Commanders. 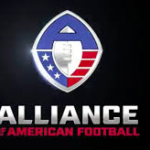 The AAF will feature a 10-week, 40 game schedule beginning this Saturday. CBS will carry the first game, with CBS Sports Network televising one league game per week. The league franchises include: Arizona Hotshots, Atlanta Legends, Birmingham Iron, Memphis Express, Orlando Apollos, Salt Lake Stallions, San Antonio Commanders and San Diego Fleet.